President Trump is trying to make it even easier on the oil and gas industry to remain the dominant source of energy. He signed executive orders on Wednesday that the oil and gas industry hopes will strip states of their authority to reject oil and gas pipeline projects and expand the transport of fossil fuels by rail. “When states say ‘no’ to the development of natural gas pipelines, they force utilities to curb safe and affordable service and refuse access to new customers, including new businesses,” said the CEO of the American Gas Association. One of the executive orders that Trump signed Wednesday will give the president’s office full authority to approve or deny an international pipeline permit. Trump cited “obstruction” in New York when signing the order. “President Trump’s executive order is a gross overreach of federal authority that undermines New York’s ability to protect our water quality and our environment,” New York Governor Andrew Cuomo responded in a statement. For years, the pipeline regulator known as FERC has taken what tribes, states, environmentalist activists, and others describe as a lax approach to pipeline approval, leaving it to states to decide whether to allow a project after a minimal federal safety review. Many states in the South, Midwest, and Northeast have also been welcoming to pipeline projects, though some are starting to change their tune. In Pennsylvania, state regulators recently decided to stall construction on a massive Energy Transfer Partners project after a series of environmental violations. The second executive order that Trump signed allows the industry to transport natural gas by rail car. Currently, only crude oil can be transported by rail domestically or outside U.S. borders. 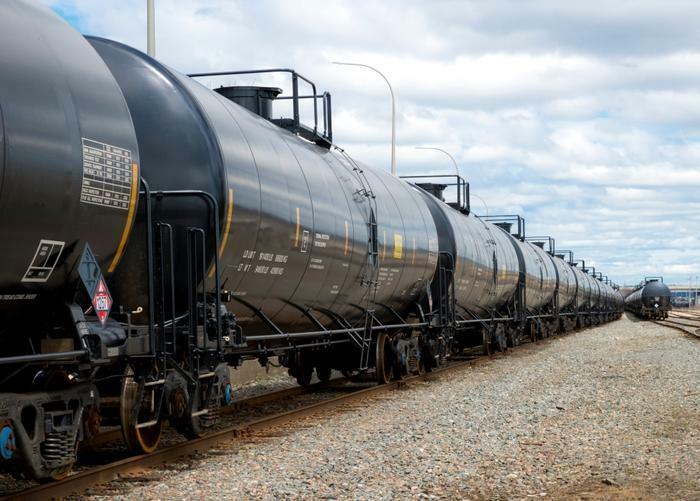 The oil and gas industry and freight industry says that using trains to transport natural gas is safe and will help consumers in the Northeast get cheaper energy. But after a 4,000 percent increase in shipping crude oil by rail over the past fifteen years, experts have counted an unprecedented amount of explosive train accidents and deadly spills. The most famous example of a so-called “bomb train” is the runaway train carrying crude oil that killed 40 people in a small town in Quebec in 2013. Winter Quarters - A Lost Treasure by Keri Karpowitz Peak Laureate - Spring Project - 19 May 1998. Located in a narrow remote canyon more than eight thousand feet above sea level and a mile west of Scofield in Utah's Carbon County lies the remains of the once flourishing town of Winter Quarters. Nearly Half of NY Sept. 11 Dead Cannot Be Identified Wed Feb 23, 2005 By Timothy Gardner NEW YORK (Reuters) - New York authorities have ended efforts to identify victims of the Sept. 11, 2001, attacks, leaving the remains of nearly half the 2,749 people killed in the World Trade Center unidentified, the city's medical examiner said on Wednesday. Foreword by the English Translators It has been a privilege to translate this very important book; a book with a clear message from a prophet of the Almighty God to his people, not only present in the Southern point of Africa, but also to the Western World.